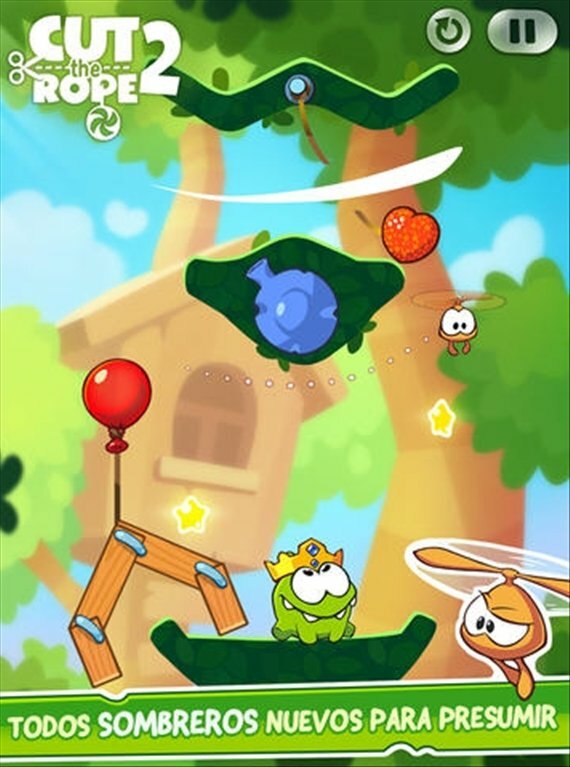 Om Nom is the main character of Cut the Rope. This cute monster only wants to eat sweets and you will have to help him to get them. The first game for iOS that won a BAFTA award. 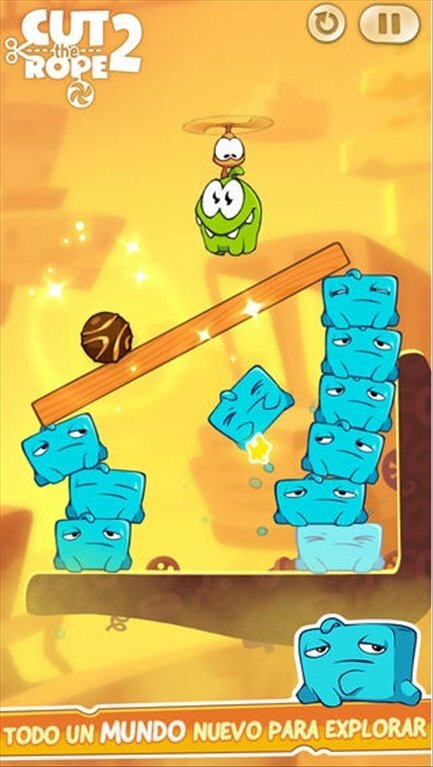 The mechanism of this logic and puzzle game consists in cutting the ropes in such a way that, following the laws of physics, sweets and biscuits reach Om Nom. Its handling is worth highlighting, simply move your finger over the screen to cut the ropes. 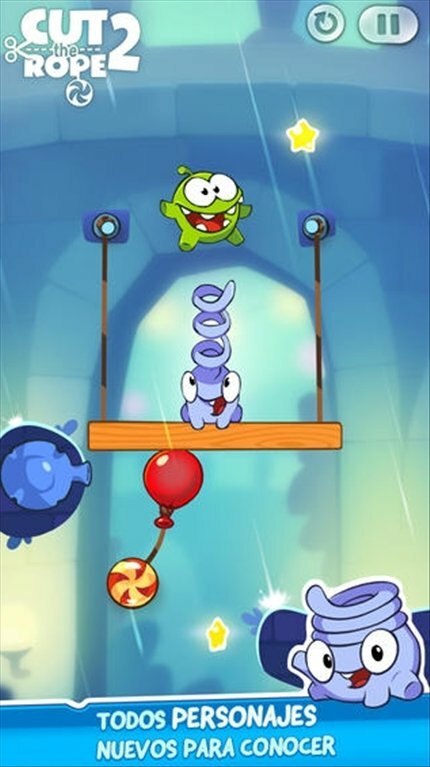 Cut the Rope includes a vast amount of levels with increasing difficulty, in which you will have to deal with new objects as you advance along the game. All the scenarios fully depend on the laws of physics. Overcome the challenges to get the maximum score and appear on the rankings. Feed Om Nom! Solve interesting puzzles based on the laws of physics in Cut the Rope for iPhone. 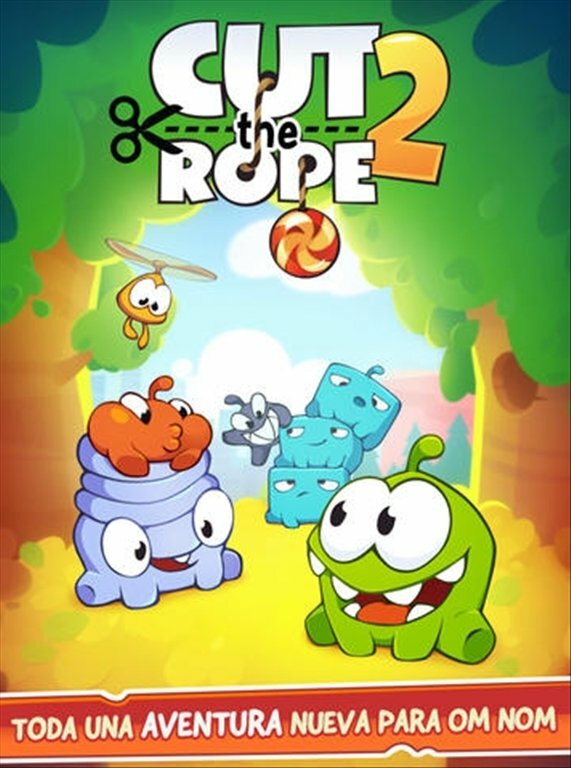 By downloading Cut the Rope 2 for iPhone you will be able to meet new characters, you'll have new game elements and you'll face new missions, that are as entertaining as always.